Have you always wondered if you were actually a Jedi? Or do you suspect the Dark Side lurks within you? 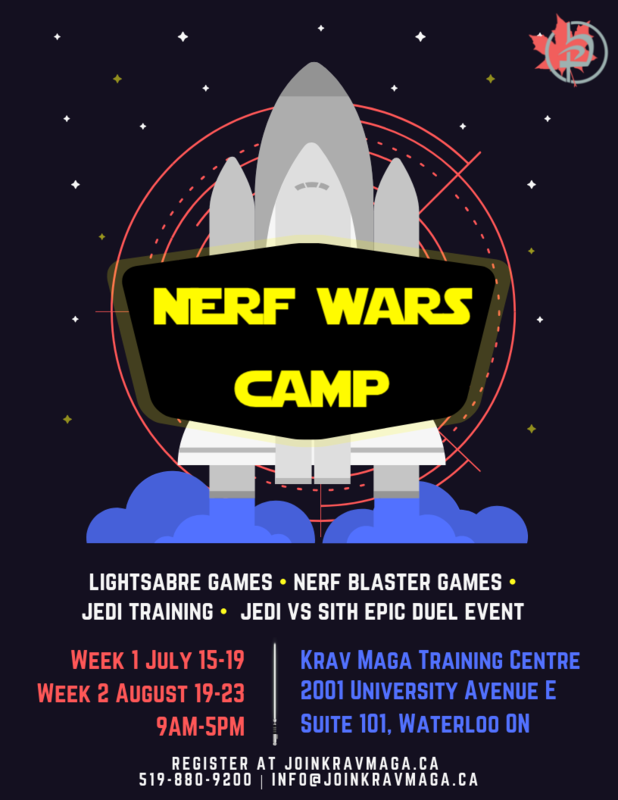 Find out at Krav Maga Waterloo's awesome Nerf Wars Camp! This camp is open to kids ages 7-11 and runs in one week sessions.